Northwest Reverb: George Takei hosts the Oregon Symphony's season opening. George Takei hosts the Oregon Symphony's season opening. The Oregon Symphony opened its 2017-18 season Saturday night, September 16, with guest host and narrator George Takei introducing an evening of old favorites and American classics. 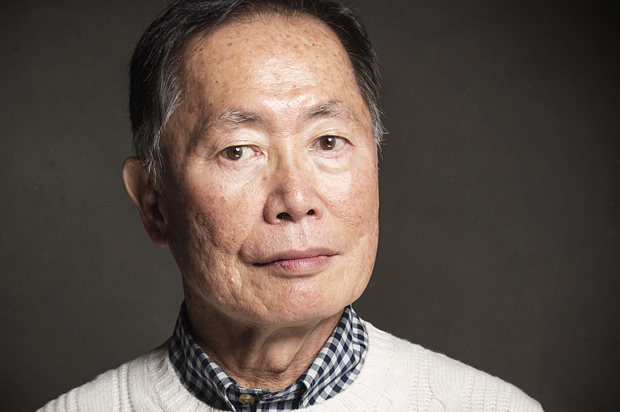 Portland seemed thrilled to have Takei in the house, known not only for his role as helmsman Hikaru Sulu in Star Trek but also as a pop culture icon and fighter for human rights. The opening piece was Beethoven's Egmont Overture; appropriately grandiose and stentorian (a suitable opening motif for an entire season), the OSO executed ably as the work graduated into a heroic gallop to the finish. The second work was an OSO premier of Twill by Twilight, by Japanese composer Toru Takemitsu. Set in the form of a tone poem, Takei mentioned that on a personal note he considered the work an elegy for his cousin and aunt who died in the aftermath of the bombing of Hiroshima. The work contained many harsh dissonances that were somehow rendered mellow in effect by the subdued timbre. The symphony imparted to the work a strange dream-like quality, somehow hypnotic and vaguely unsettling simultaneously. Strauss's Till Eulenspiegel's Merry Pranks was next, and the orchestra was clearly having fun with this one. Consistently marvelous sound production from the winds throughout the work and a short but brilliant solo from concertmaster Sarah Kwak highlighted this piece, which unfortunately suffered from an out-of-balance brass choir that completely subsumed everything else during the fortissimos. The second half started with Liszt's Les Preludes, a well-played chestnut, with a properly Jovian crescendo during the famous theme. Morton Gould's American Salute was bombastic and brassy, a spritely set of interesting variations on the folk tune 'Johnny come marching home.' With this well-known tune as the whole basis of the work it could have been dull and uninteresting; however Kalmar and the OSO managed to infuse this oddly peripatetic work with great imagination. The highlight of the evening was Copland's Lincoln Portrait, an iconic work well known to filmgoers as the opening theme from Saving Private Ryan. This iconic composition required a keen insight into the emotional as well as acoustical dynamics--alternately bold and statesmanlike, small and folksy--and the OSO got this one just right. Takei's rich baritone in the text reading, as well as his stature as an American who has been through some of the worst and best this nation has to offer, lent the work a splendid sense of decorum and purpose, the final ingredients required to make this piece perfect. When Toru Takemitsu came to Seattle to serve as Composer-In-Residence for my Seattle Spring Festival in 1992, I asked him about the title of the very piece on the OSO's recent program. He replied that "twill" is right next to (or by) "twilight" in the dictionary. Toru generally had a very funny way with words as in when he said to me; "Bob, you know what I like about Seattle? It has 'sea' and 'eat' in it." He could also sometimes convey his opinion in the minimum amount of words necessary. I'm specifically recalling our invited visit to Dale Chihuly's studio. On the way back to the car after the tour, Toru looked at me & crisply articulated in a mere whisper; "kitsch." That was it.